Nothing spells relaxation quite like uncorking a great bottle of wine – and with King Keg, you can enjoy your favorite wines without ever leaving the comfort of your home. As a leading alcohol delivery & kegerator service provider in Los Angeles, we offer wine delivery to Hawthorne, Redondo Beach, Manhattan Beach, the South Bay, and the greater Los Angeles area, making it easy to get premium wine no matter what the occasion. 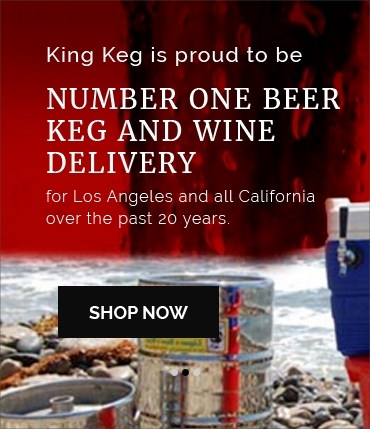 Whether you're looking for red wine delivery, white wine delivery, or you want a keg of wine delivered to your home or party, King Keg has you covered. Browse our inventory and order online today!